In a recent note, an expert from CIBC Capital Markets called on the Bank of Canada to step up as the loonie comes under attack and bets against Canadian equities pile up. “We’ve spent hours over the past few weeks talking to bloodthirsty global investors that are largely influenced by Trump’s tweets on NAFTA and the Home Capital saga,” said CIBC Deputy Chief Economist Benjamin Tal, according to Huffington Post Canada. Tal said that the loonie and Canadian financial stocks have been off by roughly 3% lately, adding that the Canadian dollar has been the worst-performing major currency against the greenback so far this year. Analysts have attributed the weakness to US President Donald Trump’s threats against NAFTA and an ongoing trade deficit. Home Capital’s recent problems, which have caused some to question the stability of Canadian mortgage lending, were also seen as a factor. He argued that Canada’s economy is displaying significant signs of strength. First-quarter economic growth in the country is expected to hit 4%; employment growth has been strong (except for the most recent report); and business development is rebounding. 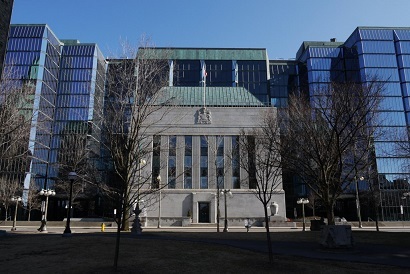 However, such positive developments are unappreciated among global investors, especially as they take cues from the Bank of Canada. Tal criticized the bank for projecting a negative view of the economy in recent reports emphasizing that it won’t raise interest rates within the foreseeable future.